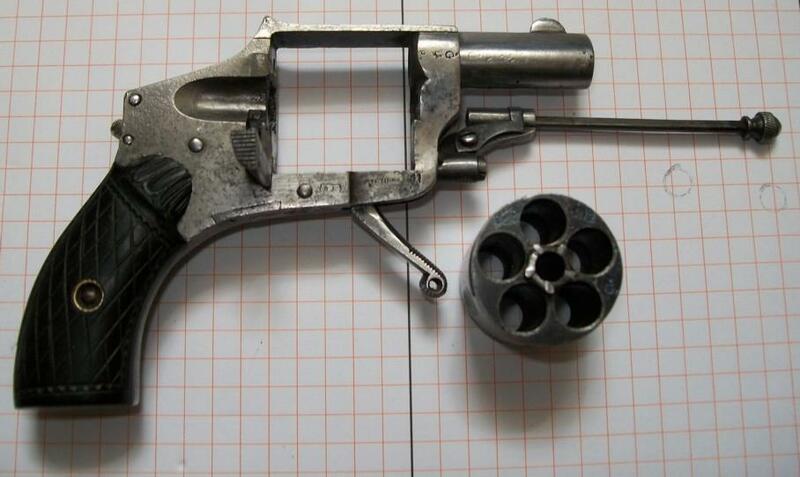 It is about a reduced revolver, with box frame, of type hammerless (hidden hammer), shooting cartridges with central percussion of calibre 6,35mm. 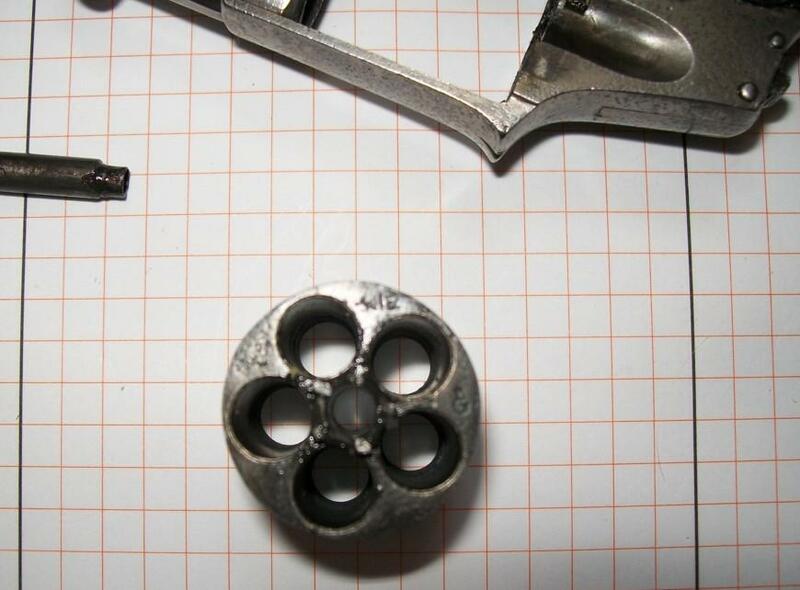 The cylinder with 5 shots is grooved! The rod swivels on an axis which enables him to be introduced into the rooms. The loading is practiced by a side door dropping thanks to the action of an internal spring. 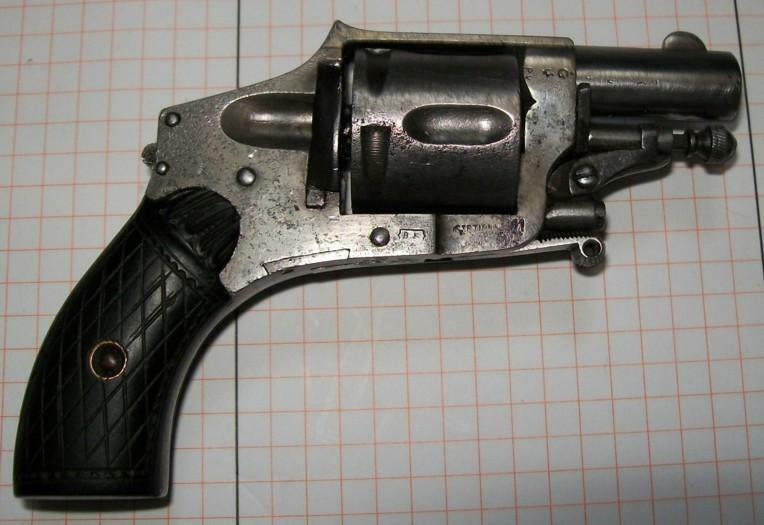 The short barrel is striped and equipped with a front sight in half-moon. The folding trigger under the console is swell and pierced. The plates seem to be out of ebony or at least in false ebony. They are maintained by a screw and two rivet washers out of brass. ELG on star in an oval vertical crowned: final acceptance post 1893. 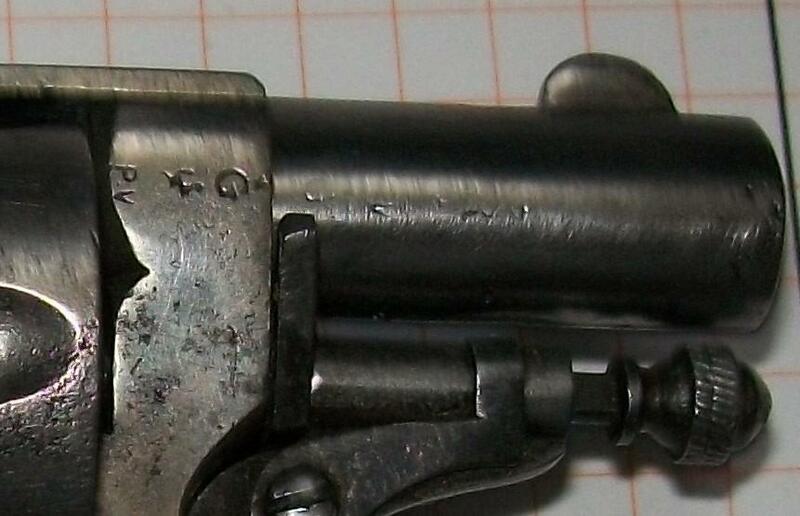 G crowned: countermark of the controller post 1877. PV surmounted of a drawn up and stylized lion: test with the powder without smoke, of use of 1898 to 1968. 4010 and 11: are probably job numbers, without more precise details. MD - JM: under the plates are most probably marks of manufacturers and/or subcontractor. 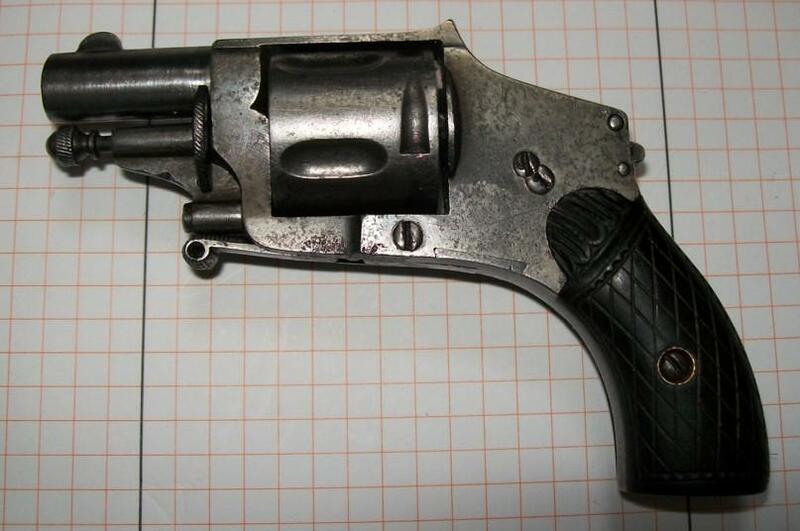 The weapons intended for export were sold better without visible mark of manufacturer. That made unfortunately the identification difficult. 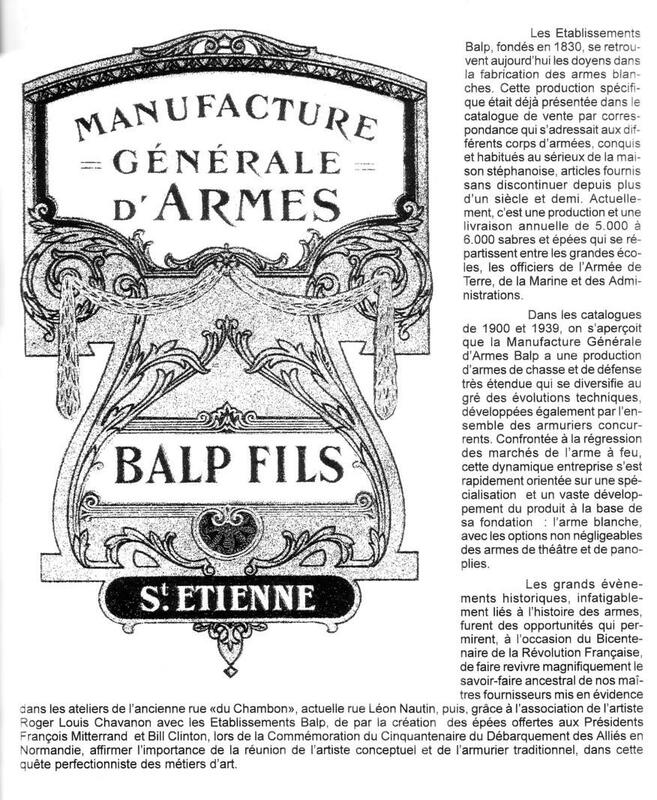 BF in a rectangle: it is most probably about the mark of the General Manufacture of Weapons BALP FILS to Saint ETIENNE. This company was founded in 1830. 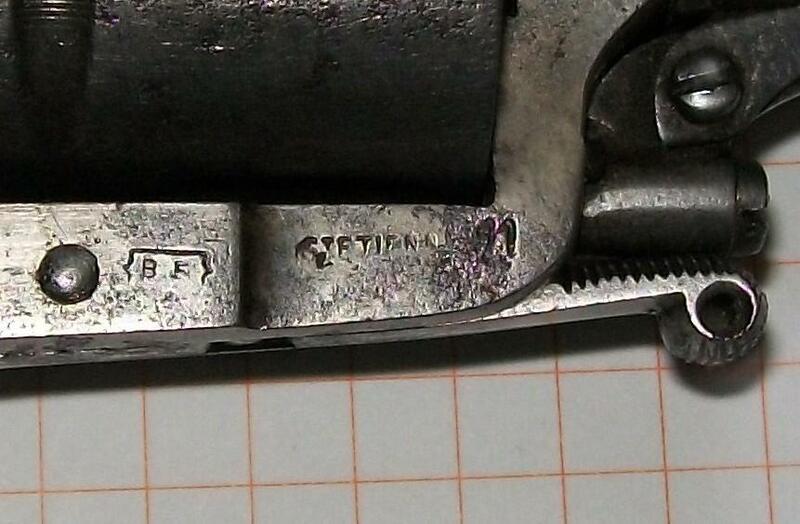 This company was specialized in the manufacture of bayonets but sold also firearms. It was often more advantageous for these companies to buy weapons at handsome price in LIEGE then to resell them in covered France of its own mark!! 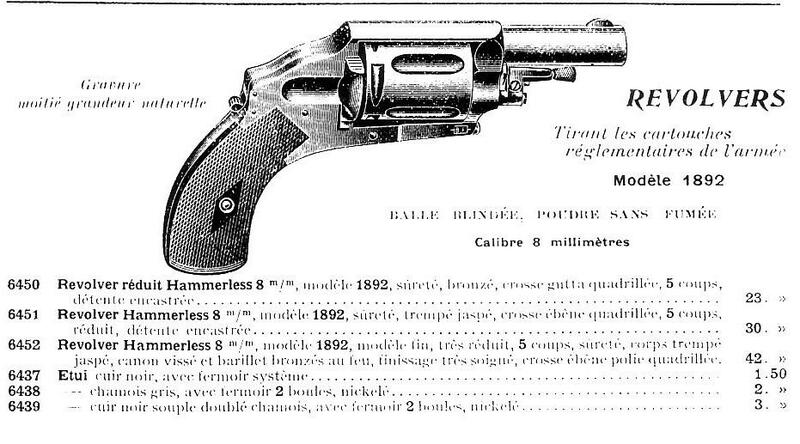 In appendix: a page of catalogue BALP gone back to 1911 and presenting a quasi similar weapon.